I was recently reminded of the importance of choosing numeric algorithms that don't behave catastrophically for certain inputs. One example is the calculation of 1-cos(θ) for small θ. 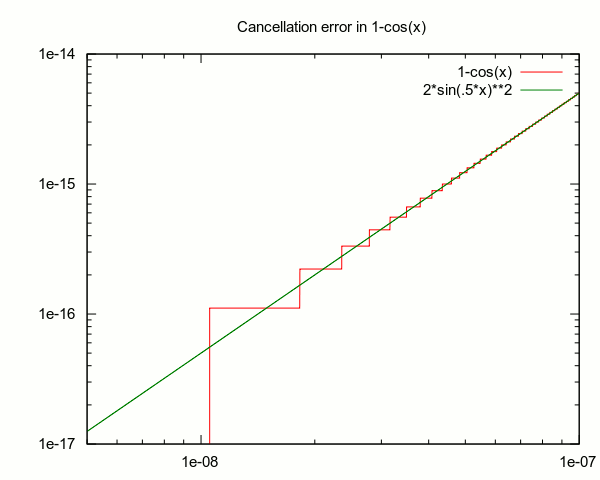 In this case, cos(θ) is very close to 1, leading to a large cancellation error in the subtraction step.